Music From The Third Floor has, since its inception in 2006, posted more than 300 soundtracks from the golden age of Bollywood cinema. Ever wondered which ones are the very best? Well now you can find out. 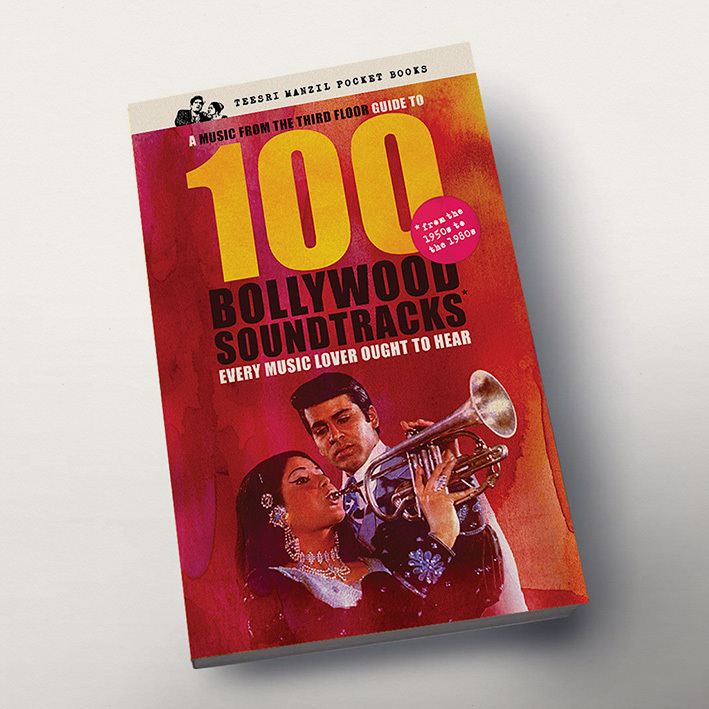 It's been a while in the making and some of you will hopefully have been waiting eagerly (and patiently) for it, so I'm really happy to announce the publication of A Music From The Third Floor Guide To 100 Bollywood Soundtracks Every Music Lover Ought To Hear. Presented chronologically, the book touches on the traditionally rooted scores of the 1950s, explores the implementation of jazz and rock ’n’ roll in the 1960s, covers the funky, pan-generic experimentation of the 1970s, and ends up taking on the over-the-top Bombay Disco sounds of the 1980s. Now it would have been easy to simply reuse reviews from the blog, however every record included has been relistened to and reevaluated. (And every cover rescanned!) A totally fresh perspective; there might even be some surprises, and there are quite a few entries that have yet to feature here. Intrigued? Watch the trailer and buy the book; you definitely ought to get this! Ordered my copy! Really looking forwards to it!!! Beautiful design and layout, an essential addition to my, or anyones, Bollywood book collection. I've been re-listening to a lot of the LP's and comparing notes. Shabash!